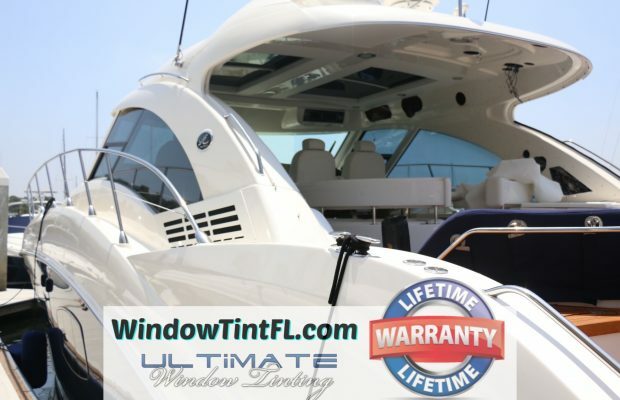 Window Tint Florida is proud to provide home and commercial window tinting for Daytona Beach, Florida! 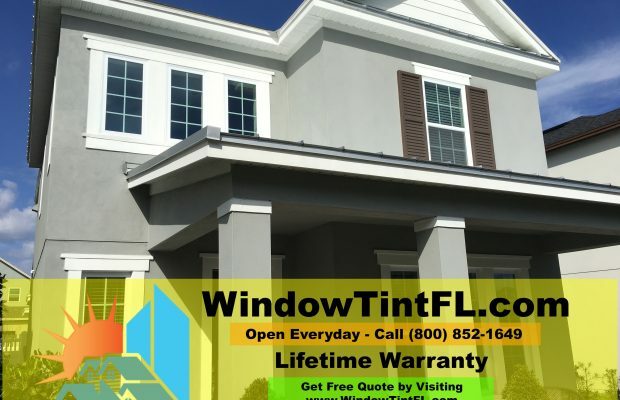 Residential Window Tint and Commercial Window Tint in Daytona, Florida. We are proud to say that we have both commercial and residential window tinting clients all around the greater Daytona, FL area. 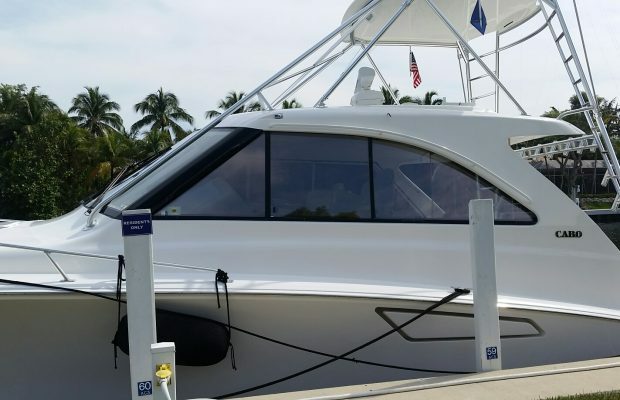 Our client base keeps expanding thanks not to marketing gimmicks or cut-rate prices, but rather because we are committed to using the best quality window films, the best installation experts in all of Florida, and to treating every one of our Daytona window film clients like they are our only client. 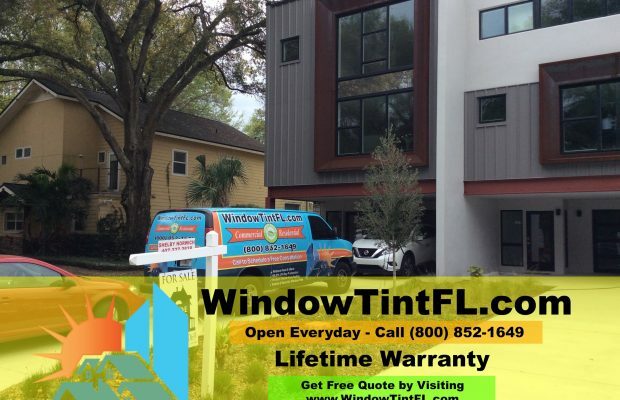 When you hire us to install window film in your Daytona home, restaurant, office, church or wherever you need it, you are hiring a company that genuinely has your best interest and wellbeing first and foremost in our minds. And if that business philosophy has made us one of the fastest growing window tinting companies statewide, then we say why change it? We use top quality Huper Optik window films developed in Germany and now popular the whole world over. 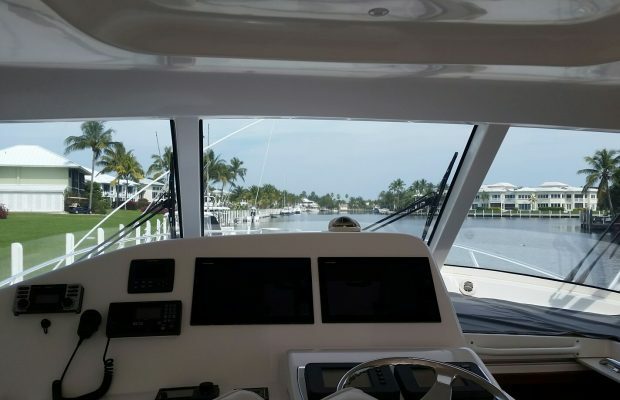 These window films are specially formulated to block out both infrared and ultraviolet light, but will still let in the pleasant, visible light you enjoy in your Daytona home. Infrared light, also known as IR and thermal light, is the hot part of the spectrum of sunlight. You can’t see it, but you sure can feel it! Blocking IR with window tinting means your home will not get as warm and thus will not cost as much to cool. UV rays on the other hand are not so much responsible for heat as for damage. Ultraviolet light can fade flooring, bleach upholstery and artwork, and even damage your skin after prolonged exposure. Stop both IR and UV rays and keep your home more energy-efficient and your family and possessions safer all thanks to window tinting! Installing security window films in your Daytona home is perhaps the single best way to keep your family and property safer, both during an attempted break-in by burglars and even during violent storms. We use durable, rugged window films that will keep window panes from shattering into pieces even when struck repeatedly by heavy objects. Much like the laminate that keeps your car’s windshield from shattering in an accident, our window films give remarkable added tensile strength to your home’s windows, making what was a burglar’s easy target an almost impossible point of entry! And don’t worry, we know you love the look of your home in Daytona: security window films are totally see-through and won’t damage your home’s aesthetic at all. You love being able to look out the windows of your Daytona residence, but you don’t want strangers outside able to look right back in. 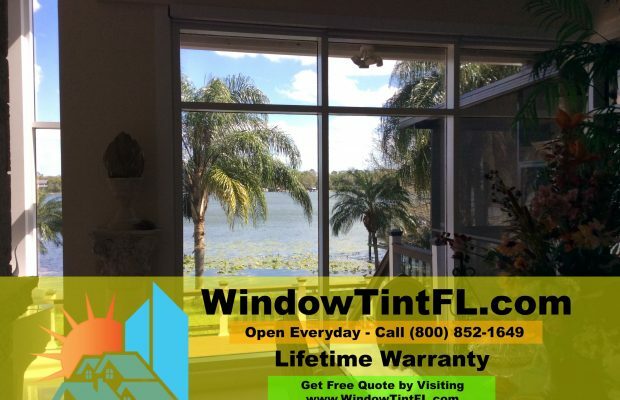 So have us install one-way privacy window tinting that will leave your windows crystal-clear to those inside looking out but will make it all but impossible for anyone outside to get a view into your home of your family and things. You can choose from a multiple privacy window tinting options, ranging from slightly darkening tinting to window films that will totally obscure the view into your home. 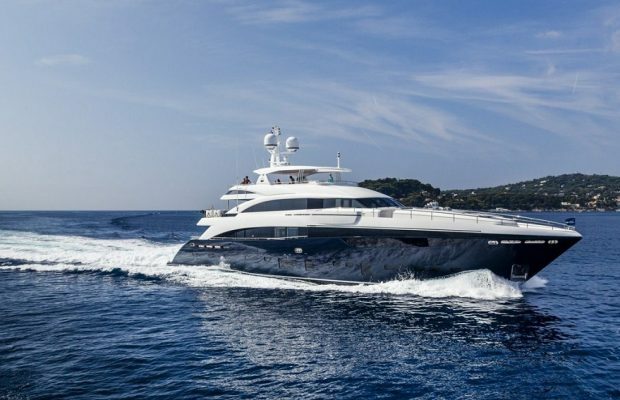 We only use high quality Huper Optik window films first developed in Germany and now popular with commercial window tinting customers worldwide. No matter if you operate a one-off retail location with just a few windows or a sprawling office complex or a towering building with hundreds of windows, we will gladly accept the job. And you will be glad to see your cooling costs fall as the warming IR (infrared) rays of sunlight are blocked from getting into your Daytona business and warming the place up. 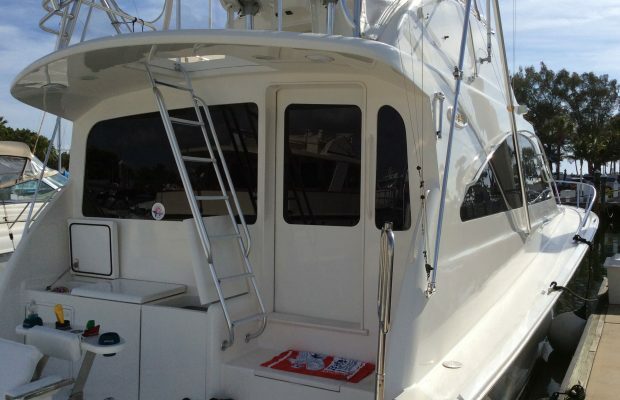 Our window films also block out ultraviolet light that can fade carpeting and hardwood, bleach documents and artwork, and even damage the skin of your staff and patrons. The films we use still let in all the visible sunlight you love, keeping the workplace bright and productive. One of the largest operating costs for a Daytona business is simply the HVAC expense. Keeping your offices cool enough for your staff, your restaurant pleasant enough for your diners, or your retail space comfortable enough for the shoppers is an absolute must for the responsible business owner or manager, and shutting all the blinds and drapes leaving the place in the dark is a total no-can-do! The solution is simple: call Window Tint Florida and let us treat the windows of your Daytona business with quality Huper Optik window films. Our window film will block IR and UV sunlight, and they can offer added security, too, by making the windows of your shop, office, or other commercial space virtually shatter-proof. Security window film is one of the best investments a Daytona business owner and/or operator can make. Our security-enhancing films will pay for themselves after the first attempted break-in is prevented, or when debris thrown aloft by gale-force winds crashes into the windows, but doesn’t break through them. Security window films add a strong layer to the glass that binds it together, keeping even a shattered pane of glass as a strong, intact whole. During break-in attempt or a storm, window films will keep your employees and visitors safe from shards of glass… and from the criminals or weather that threatens from outside. A workplace must be a safe, comfortable environment for it to be a productive environment. Likewise diners, shoppers, or other patrons deserve privacy while in your establishment. Installing privacy window tinting is an affordable, easy way to make your Daytona business a more pleasant place in which to be. 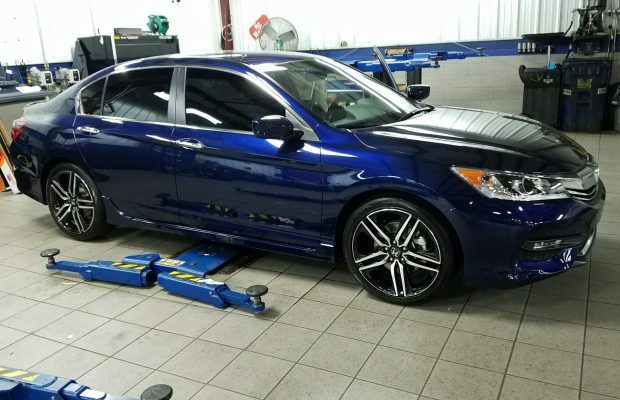 We have tinted the windows for all types of Daytona, Florida clients, from gyms to schools to pediatric practices, and we would be thrilled if your business was the next place we made that much more private and pleasant for all who are at work, at a meal, shopping, or exercising within.